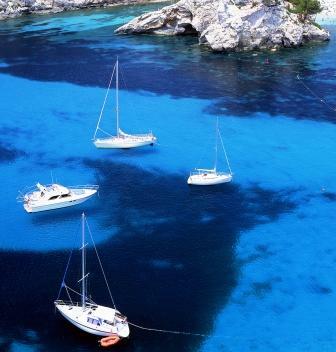 One of the most northern of the Greek Ionian Islands, Corfu is an important and well known Greek Island and well worth visiting on a crewed yacht charter of the Ionian Islands in Greece. Corfu has an international airport, and therefore is a great island to begin or end a crewed yacht charter of the Ionian Island chain. With strong ties to the mythology and history of Greece, and strong ties to both the Venetian and British occupation of the island, Corfu is an exciting island to visit while cruising on a yacht charter in Greece. Corfu is said to be named after the beautiful mythological water nymph, Korkyra, with whom Poseidon fell in love, captured and brought to Corfu where their child, Phaiax, was born. Corfu, sitting off of the northwest coast of the mainland of Greece was long controlled by the Venetians, and was the scene of a numerous battles, and sieges, reflected today in the number of castles that dot the island country side. 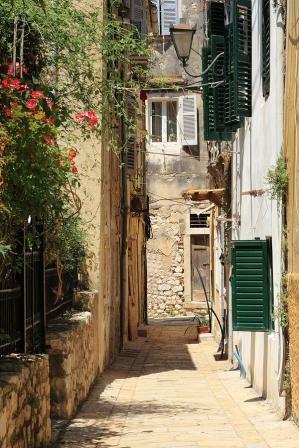 Old Town Corfu, built by the Venetians on a peninsula separated from the rest of the island by a natural gully that was dug into a moat, is a labyrinth of streets behind fortified walls. This is a colorful fun area to wander with narrow streets and little shops. Behind the town is the Esplanade and Citadel with an arcade filled with little restaurants and bistros. Nearby are the Neo Frourio (the new citadel) and Palaio Frourio (the old citadel), both also built by the Venetians and open for visitors to wander and explore. Also nearby is the Palaia Anaktora and gardens, once home to the King of Greece and now filled with museums surrounded by the beautiful gardens. 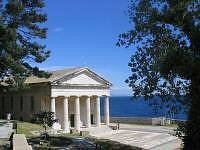 And to the south of the city is the Achilleion, built by the Empress of Austria in the late 1800’s as a neoclassic tribute to Achilles, and now open to visitors as a museum. The countryside of Corfu is dotted with olive trees and wildflowers and around the coastline are beautiful beaches with crystal clear water. 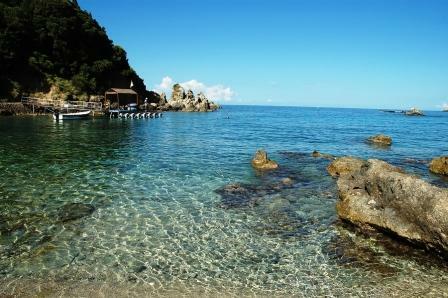 Be sure to visit Paleokastrits Bay on the northwest side of Corfu overlooked by the 12th century monastery of Theotokos. 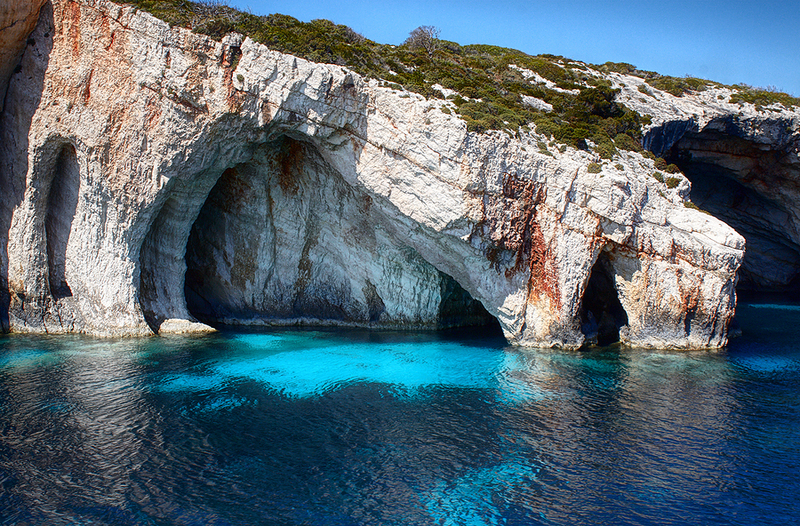 Take the ship’s tender into the many caves washed into the shoreline of this bay with beautiful blue water.